Maryland U.S. 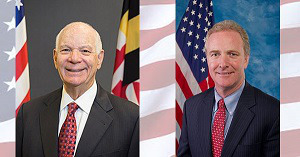 Senators Ben Cardin and Chris Van Hollen, with support from Congressmen Dutch Ruppersberger, John Sarbanes and Elijah E. Cummings, have announced the introduction of the FAFSA Fairness Act of 2019. The proposed legislation would ease the process to apply for and receive Federal Student Financial Aid for students who do not have contact with their parents or parental guardians. A key provision of the bill would permit students who do not have contact with their legal guardians, or who meet other criteria established by higher ed institutions, to fill out the FAFSA application as “provisionally independent” student, according to a release. As of now, this group of students must undergo a “dependency override” at each school they apply to before they can be considered for financial aid.